This most amazing GIF ever was created from the DVD extras on the original The Hunger Games. 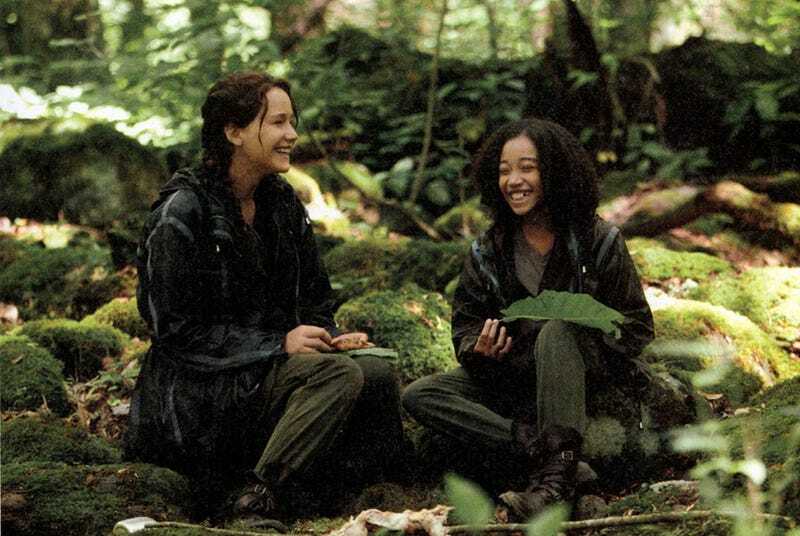 I want to watch an entire movie of Katniss and Rue just being ridiculously adorable — frolicking in the woods, eating (non-poisonous!!!) berries, braiding each other's hair, attending impromptu therapy sessions, and whatever else it is two young ladies do during their Hunger Games downtime. These movies are doing insanely well, so I bet those greedy bastards in tinsel town could be convinced. COME AND TAKE YOUR MONEY FROM ME, YOU BRILLIANT SCUMBAGS.